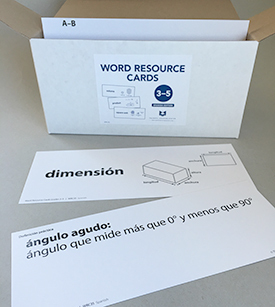 Word Resource Cards, Grades 3 - 5, 2nd ed. Word Resource Cards, Grades 3-5, 2nd ed. Use these cards to help students develop their mathematical vocabulary. 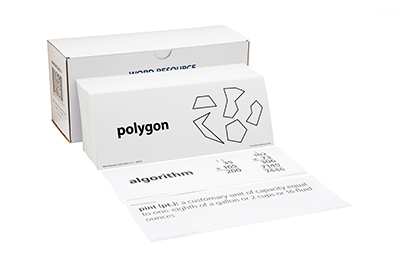 The front of each card features a key term—such as estimate, expanded form, or line of symmetry—along with corresponding illustrations. The definition is shown on the backside. These cards can be used with your existing word wall, or you can use a pocket chart to display them. Each set comes in a handy storage box with alphabetical dividers to keep cards organized. This is a valuable resource for all students and especially helpful for English-language learners. 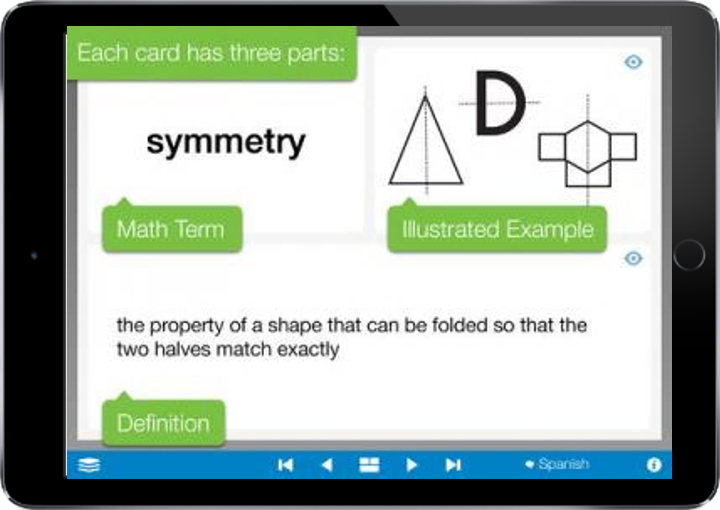 The Math Vocabulary Cards app helps students deepen their conceptual understanding of key terms in mathematics. Each card features three sections: a math term, a representative example or model, and a concise definition. Each section can be hidden or revealed providing multiple options for practice. Vocabulary cards can be selected individually or by category and switched seamlessly between English and Spanish. Available for Apple and Chrome devices, as well as for the web.